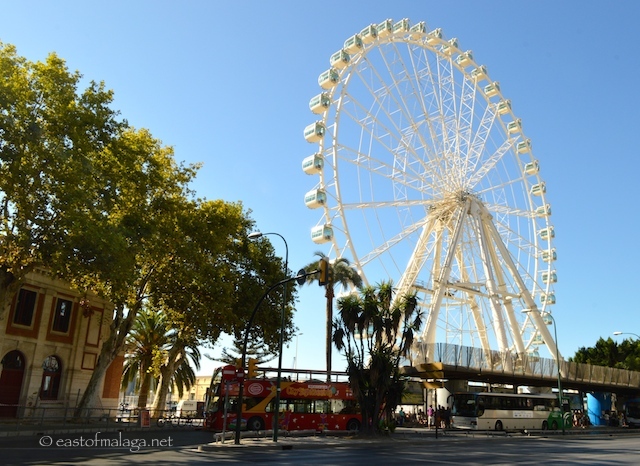 As if the city isn’t exciting enough, Málaga has a new attraction on it’s skyline – a giant observation wheel. The giant ferris wheel is located at the entrance to the port, parallel to Muelle de Heredia. 1. 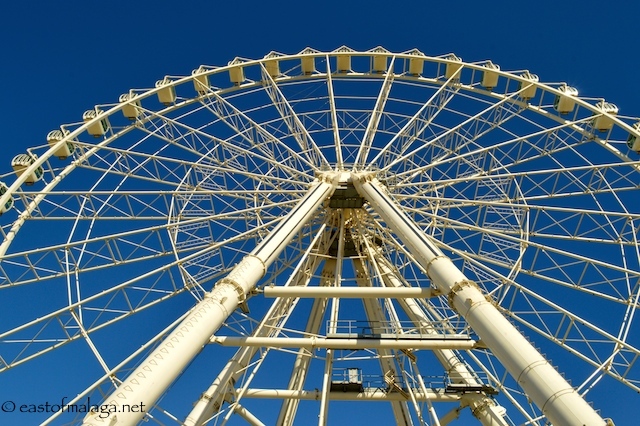 La Noria de Málaga (as it will be known) stands 70 metres tall – that’s just short of 230 feet. 2. Weighing in at 600 tons, the Mirador Princess ferris wheel is Europe’s largest transportable attraction – yes, it’s moveable! 3. There are 42 air-conditioned cabins, each accommodating up to eight people. 4. Each cabin offers 360 degree panoramic views across the city, port and Mediterranean Sea and, on a clear day, vistas of up to 30 kilometres. 5. Maximum capacity is 1000 visitors per hour. 6. An operating licence has been granted for an initial period of eight months. 7. The wheel is LED illuminated, offering a stunning after-dark show. 9. A full turn of the wheel takes four minutes. 10. It takes 25 special trailers to transport the wheel between sites, and 25 men working for two weeks to put it together on arrival, with a little help from a 300 ton crane. If you’re inspired to ride on La Noria de Málaga, the observation wheel is open daily from 11am to 11pm (1am at weekends). 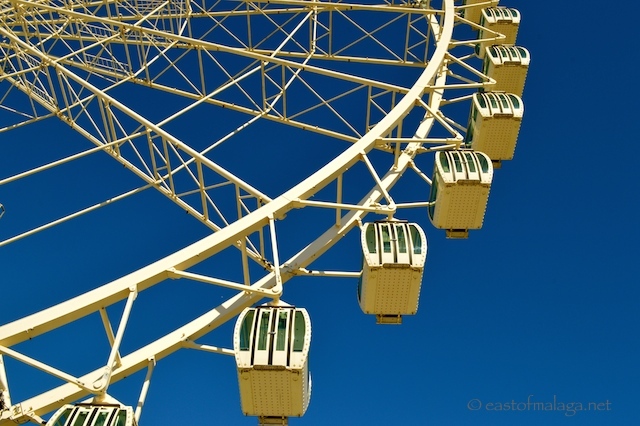 This entry was tagged Andalucía, Europe, ferris wheel, life, Malaga, photography, Spain, travel. Bookmark the permalink. I just saw it the other day. We will have to ride on it soon…….. When there are less tourists methinks…….. Curious that they are air-conditioned, one year we nearly fried to death riding on the cable cars in Benalmadena. I bet it looks pretty at night, you must be itching to have a ride! Sounds very exciting, and what wonderful views it will have. Well!! you learn something new every day!!! Sounds like a brilliant photo group outing?